Gov. Christie threatened to "f---ing destroy" a local legislator that called him a "fat f---" after Sandy ravaged the Jersey Shore, a witness in the George Washington Bridge lane-closing case said during testimony on Wednesday. Former Christie staffer Christopher Stark, who worked under defendant and former deputy chief of staff Bridget Kelly, said that the governor launched into a f-word-laced tirade after Monmouth County Freeholder John Curley left a "curt" message for Stark during efforts following the 2012 storm. "(He said) 'This is what a fat f-word he (Christie) is, while we're out here doing the work, he holds press conferences,'" Stark testified. "He just kept screaming obscenities." Christie later called Curley back and threatened the man that he would "have a Robocall sent out to every Republican in Monmouth County telling them not to vote for you" if he wasn't at a news conference the next day, Stark testified. A former Gov. Christie aide and star witness in the Bridgegate trial said Christie and Gov. Cuomo conspired to use a fake traffic study as a cover up for the real reason lanes were closed on the George Washington Bridge in September 2013. The Cuomo administration strongly denied the claims. Katherine Creag reports. "The governor called him and said 'Who the f--- are you to call me a fat f---. I'm the f---ing governor. If you're not behind the podium tomorrow, I will f---ing destroy you. You're a f---ing idiot,'" Stark testified. Christie's office hasn't returned NBC 4 New York's requests seeking comment on the exchange. Curley, meanwhile, told the Asbury Park Press that he called Christie a "fat motherf---er" after Lt. Gov. Kim Guadagno showed up to an event in Union County. Curley told the newspaper that Christie called him the next day and yelled during a 10-minute tirade and "ordered" him to an event in Keansburg. Stark's testimony comes after David Wildstein, the man at the heart of the George Washington Bridge lane-closing case concluded eight days of testimony by reiterating that a goal in the aftermath of the scandal was to insulate Christie's office from blame. A onetime top ally of New Jersey Gov. Chris Christie said the governor and New York Gov. Andrew Cuomo discussed releasing a false report to tamp down questions over the George Washington Bridge lane-closure scandal, the prosecution's key witness testified Tuesday. Andrew Siff Reports. 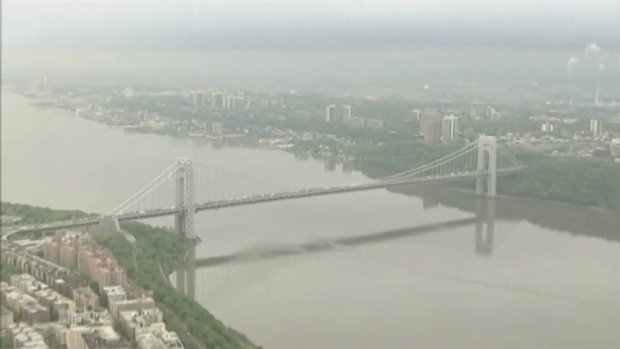 Baroni was Christie's top appointee to the Port Authority of New York and New Jersey, which operates the bridge. His co-defendant, Kelly, was Christie's deputy chief of staff and headed an office responsible for outreach to county and municipal officials. As testimony in the George Washington Bridge lane-closing trial continues past its first week, New Jersey Gov. Chris Christie faces a new problem: a citizen's criminal complaint filed against him in Fort Lee Municipal Court. Brian Thompson reports.